Writer and musician, Jesse Sublett joins us this week along with actress and singer, Ellana Kelter of Esther’s Follies. We’ll be talking about Jesse’s latest book, ESTHER’S FOLLIES, The Laughs, the Gossip, and the Story Behind Texas’ Most Celebrated Comedy Troupe (November, 2017). Writing On the Air is broadcast each Wednesday from 6-7 pm Central from the KOOP Radio studios in Austin, Texas. We are heard on 91.7FM KOOP, and online at KOOP.org, TuneIn.com and Radio Free America. Recent episodes are immediately available on Radio Free America. You can listen to our past episodes below – just take a scroll through the guests & download the interviews from each page. You can also find our podcast on iTunes. For show updates, be sure and follow us on Facebook and Twitter. 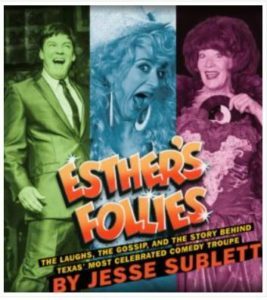 Jesse Sublett’s twelfth book is Esther’s Follies: The Laughs, the Gossip, and the Story Behind Texas’ Most Celebrated Comedy Troupe. His previous books have included crime novels, nonfiction history, music, novellas, short stories, and a true crime memoir. 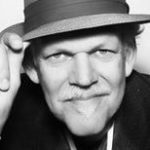 His articles have appeared in the New York Times, Texas Observer, Texas Monthly, Texas Tribune, and Austin Chronicle. He has written many historical documentaries for television including ones for the History Channel. The film called “Deep in the Heart (of Texas),” was adapted from a play by Jesse, Stephen Purvis and Tom Huckabee. .
Also a legendary musician, Jesse shook up the Austin music scene in the late 1970s by playing in the city’s first two punk bands, The Skunks and The Violators, creating the burgeoning underground punk and new wave scene at joints like Raul’s, the Continental Club, and Club Foot. In October 2017 he released a new CD called Blood On the Page. Jesse lives in Austin with his beautiful wife, Lois Richwine, and at least three cats. 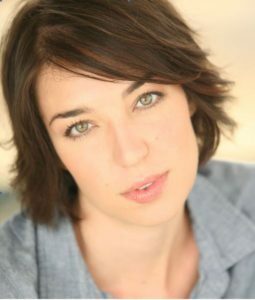 Ellana Kelter performs full-time at Esther’s Follies as a singer, actor and main magician’s assistant to Ray Anderson. She has performed all around town on stage, on camera and in studio. Every Esther’s Follies show opens with Ellana as Delilah Rose warming up the audience with a saucy sing-a-long. She also serves as prop/costume maker extraordinaire and dance captain, as well as Program Director of the Esther’s Follies School of Comedy camps. Ellana was born and raised a small town girl from Wisconsin. She stayed in the Midwest for her BFA in music theatre performance from Western Michigan University and MMA Arts Management from Columbia College in Chicago. A trained theater performer, she also interned at Second City and the Goodman Theater in Chicago. Ellana also teaches at Woodland Schoolhouse, volunteers with Kids In A New Groove, and serves on the board of ATX Kids Club. She has been an Austinite and Esther’s veteran for over ten years now, and is married to Adam Schlender. Plus, she totally believes in magic. 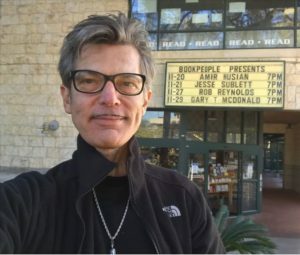 Author, Jesse Sublett knew that with a history that spans four decades of political change and Austin’s own development, there had to be a good story within its walls. At forty years young, Esther’s Follies, Austin’s beloved comedy troupe, has hit icon status. In the trademark aquamarine building on Sixth and Red River, magic happens five times a week. The end result is a gorgeous 200 page coffee-table book, “The laughs, the gossip and the story behind Texas’ most celebrated comedy troupe” which is rife with photographs, backstage stories and memorabilia — the book was designed by the talented team at EmDash. For the newcomer, tourist or long-time Austinite, Esther’s is a must-see experience. The show pokes fun at both sides of the political divide and always includes sketches of particular delight to Texans, old and new. As the city has grown and changed, so too has Esther’s, which has always served as a reflection of the city. 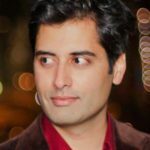 Learn more about Jesse Sublett at JesseSublett.com . You can also keep up with him on Facebook, Instagram and Twitter. You can follow Ellana Kelter on Twitter and Instagram. You might also check out this YouTube video.